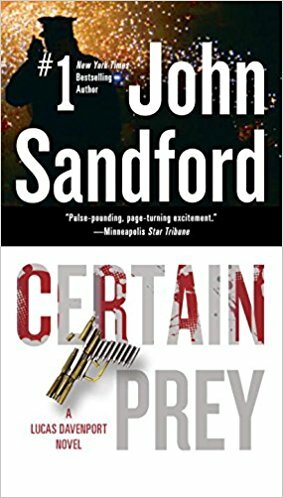 My husband - the man who has read and re-read every John Sandford book ever written - and I, didn't make it home in time to watch the USA networks debut showing of Certain Prey yesterday. But honestly, we figure they will be re-running it and re-running it! After all, it features Mark Harmon - who recently took Oprah's place as THE MOST POPULAR PERSON ON TELEVISION, according to a recent Harris poll. 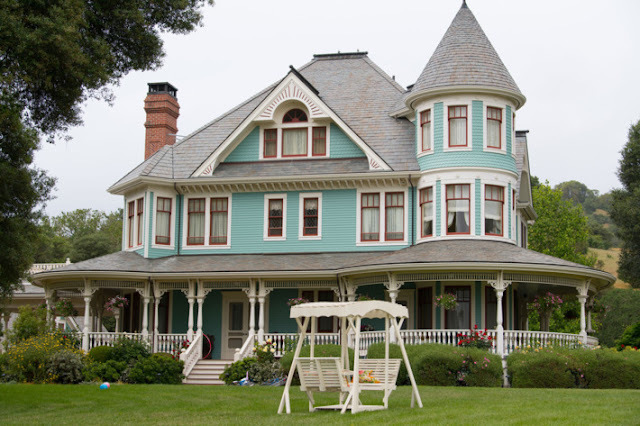 He's also the star of the hugely popular NCIS, the HIGHEST RATED SHOW on television. Of course, they will want to milk this movie for all its worth. And who can blame them? The original episodes of NCIS air on CBS, with USA airing a steady dose of reruns that NCIS devotees lap up eagerly. The show is like comfort food; no matter how many times you've seen an episode, you're happy to watch it again. "Oh great!" my husband I will say to each other "It's the one where Ziva ---" or "Must be an old one. Kate's in it and look how skinny and young Tony is." Or "Oh wow this is from the first season. Look, Gibbs is actually laughing!" He was a lot more jocular in the early episodes. Of course, those frozen black and white shots foreshadowing where the show will end at every commercial break are addictive too. It's sooo much fun to figure out - or remember - how Gibbs got from here to there! But the point is, he's very likeable, a bff, who is also very watchable. And I get the feeling that Lucas Davenport is too. 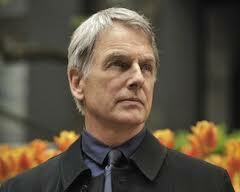 Certainly with Harmon playing him as a version of Gibbs! Harmon himself says "I'm looking to play something certainly somewhat different than what I'm doing on the series [NCIS] but not so much different that it's blaringly shocking. Actors are attracted to characters they want to play and that was true to me with Davenport. Whether I pulled it off or not is going to be up to you when you see it." It sounds like Certain Prey takes Gibbs out of NCIS, gives him some designer clothes, and a fancy car! That sounds good to me - probably the only thing I don't love completely about Gibbs is that military, ex-marine haircut whereas I adore the longer hair I've seen him sporting in the Certain Prey trailer. So it looks like USA will be able to add a Gibbs-esque movie into their successful mix. And if Harmon has anything to say about it, there will be more Preys (and excuses to watch him) to come. In an interview with Deadbolt, Harmon indicates he hopes that Certain Prey will be just the first of many of screen adaptations of Sandford's series of Prey books. He's read them all by the way. Here's what he says about the decison to begin with the tenth book and how he approached it. It's crystal clear that USA, Mark Harmon, and probably, Sandford want the show to go on! 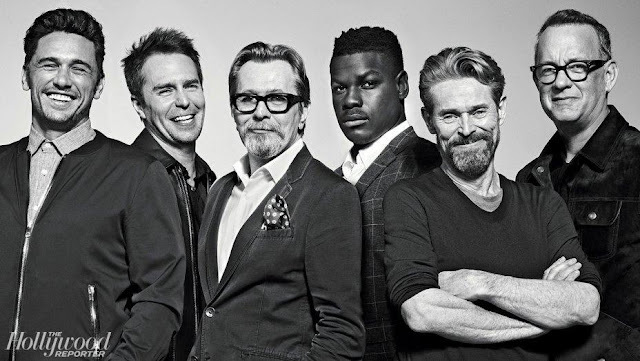 "We were trying to jump off here, directionally and also story wise, with something that wouldn't conclude in a one movie format, something that would continue on.There also you have to give credit to USA Network, because it's not something movie wise that is normally done, where you kind of leave it open-ended and you let people know that this has the potential of a continuation to it - that really the end of the movie is just the start of the movie." We get it Mr. Harmon and we like it. Oh, and not to get too personal here, but for a guy who was voted People Magazine's Sexiest Man Alive over 25 years ago, you are looking good! Yep, if you make it, we will watch! 11/5/2017 The news? There is none. Sexiest man alive or not, there seem to be no developments in the book to movie front in terms of bringing more of John Sandford's PREY books to the screen. 2nd part PLEASE!!!! I have read all of his books and waiting for that 2nd part with Clara. Time to see who wins at the end.